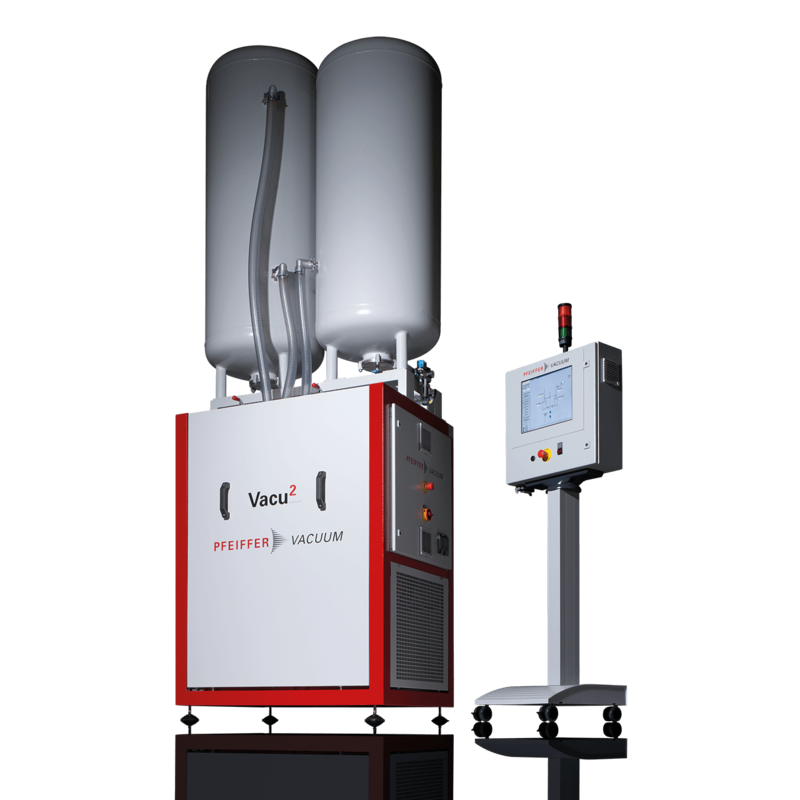 The Pfeiffer Vacuum multi-stage vacuum process is available in Vacu2 and Vacu2 eco versions. In our Vacu2 multi-stage vacuum process, the shot sleeve and mold cavity are evacuated in two stages. During the first stage, the air is extracted directly from the shot sleeve via a wide cross-section line. This enables the desired pressure to be quickly achieved in the shot sleeve and mold. In the second evacuation stage, the air is extracted directly from the mold. The control system processes pressure measurements that are taken in four different locations at different points in time during the casting process into process-relevant data. This allows precise information about the current status of the system. This avoids unnecessary rejects and significantly reduces costs in the die cast processes.